Hello! Welcome to another entry in this humble dental blog. I hope you and your loved ones are having a great weekend. Today I want to talk about an overlooked subject in dental restorations, the dental bridge. I have encountered in the past many patients that don’t even consider dental bridges and choose to waste money needlessly on implants. Sadly, many dentists in the US just want to take away the most money they can from their patients. This does not occur here in Dental Solutions in Los Algodones. With a complete st aff of specialist in many areas of odontology and fluent in English, Dental Solutions strives for solving any dental problem and finding the best option for the patient. One of the clinic’s motto is to return the smile to the patient’s face. With this in mind, one treatment to consider is dental bridges. 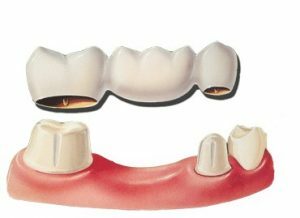 With bridges we can replace teeth permanently, and save money with its versatility. So the first thing to know is what exactly are dental bridges and how do they work. Let’s cut the chase and jump right into the matter. Dental bridges are basically a dental crown or a cap, joined with other artificial tooth to cover two teeth or more. So you can expect they work exactly as a dental crown. The way a dental bridge can cover so much ground is because It uses the adjacent teeth of the missing spot, thus creating a bridge between them to fill the gap. This is what makes them one of the most versatile option for repairing smiles. Because there is no limit on how many teeth can make a dental bridge. What this means is that it does not matter how big is the gap, a dental bridge can close it and give you a nice smile. One of the best things about dental bridges is the cost, it is so much more affordable than dental implants. Speaking about dental implants, dental bridges and implant can work together too. 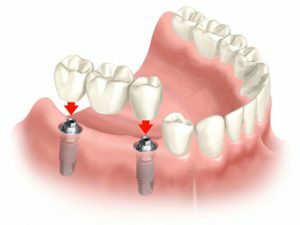 When the patient does not have any tooth and wish to replace a considerable area of the mouth, then two implants can work. 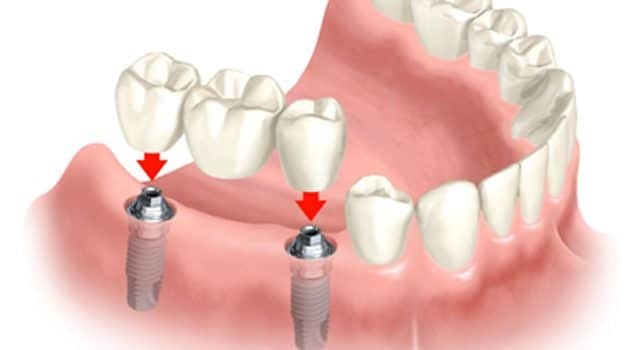 After an implant procedure heals, the dentist can use a dental bridge to connect the two implants and substitute the teeth missing with ease. Another cool thing about the bridge is that it looks just as real and natural like regular teeth. As science and technology advance, many materials are uses that can imitate the look of the patient teeth perfectly. There exist many options if you go for dental bridges. One of the most important ones is the material they are made of. Just as it happens with dental crowns, the most common types of material used are 3. We can find in most of the dentists in Los Algodones that they use porcelain fused with metal, full porcelain and zirconia. Starting with porcelain fused with metal, they tend to be the cheapest and its co lor is okay. Although they are not recommended in the back because molars tend to support so much pressure. For the those teeth in the back full porcelain and zirconia are the best option because they are more strong and durable. Regarding its looks, full porcelain and zirconia re really good choices. They cost more than porcelain fuse with metal bet certainly they look a lot better. In the end, if you are looking for the best option I would choose zirconia most definitively. And if you are looking for the best dental clinic in Los Algodones then Dental Solutions is just for you.